We Help Businesses and Individuals Gain Peace Of Mind When Facing Tax issues. Our team of Tax Specialists are here to answer all your business and individual tax concerns. If your Denver, Colorado business fails to comply with state tax laws or filing requirements—whether intentional or unintentional—those mistakes can be costly. There are a number state IRS penalties governments can use against your business, and they have a wide variety of enforcement techniques to collect them. Owners and officers of Colorado corporations and members of a partnership or limited liability company may be personally assessed up to 150 percent of state taxes that are assessed but uncollected. This means you were required to collect withholding tax and didn’t or that you withheld the tax but didn’t pay it over to the state. This assessment applies to all owners, officers and members regardless of your day-to-day involvement in the business activities or payroll obligations. When failing to pay state sales tax, penalties can range from 10 to 100 percent depending on whether or not fraud is indicated in the assessment of these penalties. This only applies to state sales tax. All counties and cities vary with their assessments. If you have questions on the penalties that you could be facing for county or city sales tax, call us and we will help you find the right answer. Let’s Talk. Book Your Private Consultation Today. Failure to file, filing late or delinquent payment penalties are some of the easiest penalties to avoid by simply filing and paying your taxes on time. Each penalty assesses businesses 5 percent of the tax owed or $5, whichever is greater, each month you do not file or pay and maxes out at 12 percent. The failure to pay penalty maxes out at 15 percent of the tax due following the Notice of Demand for Payment. Fraud-related penalties are assessed when the state determines you willfully and fraudulently failed to file or pay your tax return or file a false return. Assessments range from 100 to 150 percent of taxes owed or up to $150 depending on the fraudulent act. Negligence-related penalties result when you fail to pay your full tax bill based on inaccurate information, such as deductions that can’t be proven or don’t report your total income. These penalties are generally discovered through audit and can add 25% of the deficient amount to your tax bill. The best way to avoid state and local tax penalties and assessments is to file your taxes on time and set up a payment plan if you can’t pay them right away. You will almost always end up paying more when you don’t file on time. 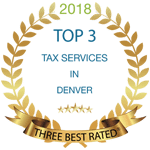 The Enrolled Agents at True Resolve Tax Professionals in Denver have the expertise to work on your behalf to reduce or even eliminate local and state tax penalties and fees. Call True Resolve today and let us help. Our business is managing your tax burden so you can focus your energy and talents on the business you know best—your own.